This vintage white satin Juliet bridal wedding cap wax flower trim headpiece dates from the 1930s. 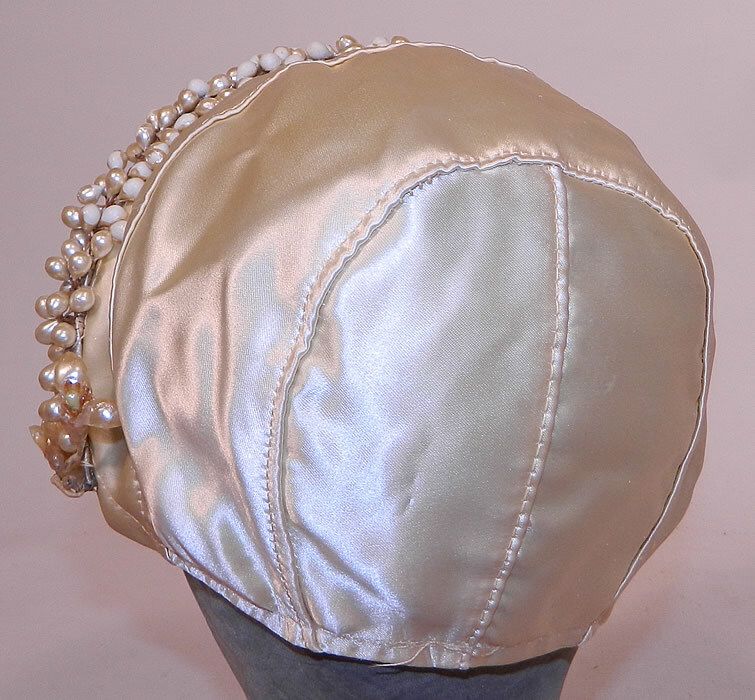 It is made of an off white cream color satin fabric cap, with pearl iridescent covered wax orange blossom flower droplets sewn around the front opening and is net lined inside. 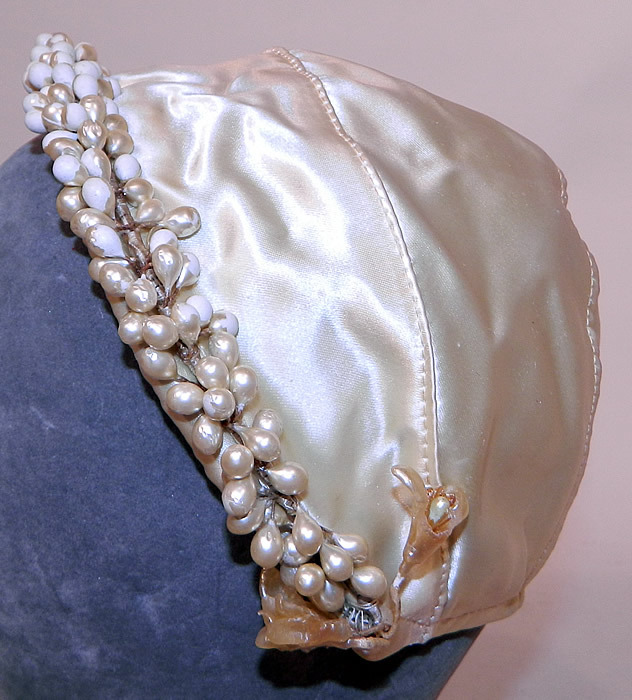 This beautiful bridal bonnet Juliet style wedding cap measures 22 inches in circumference. It is in good condition, with some wax droplets missing the pearl coating worn white. 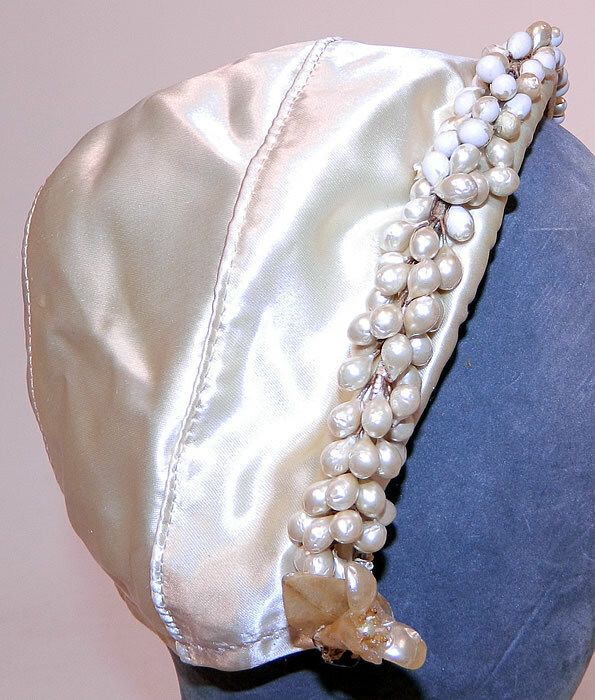 This wonderful wedding headpiece is a beautiful one of a kind piece of bridal textile art! This vintage white satin bridal wedding cap orange blossom wax flower trim headpiece dates from the 1930s. 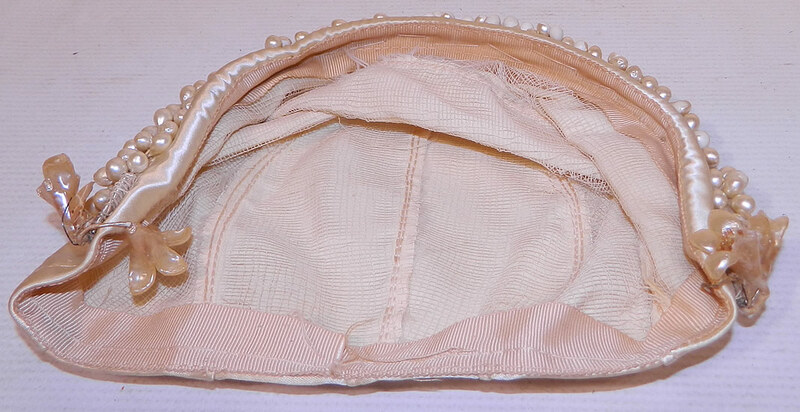 It is made of an off white cream color satin fabric cap, with pearl iridescent covered wax orange blossom flower droplets sewn around the front opening and is net lined inside. This beautiful bridal bonnet wedding cap measures 22 inches in circumference. It is in good condition, with some wax droplets missing the pearl coating worn white. 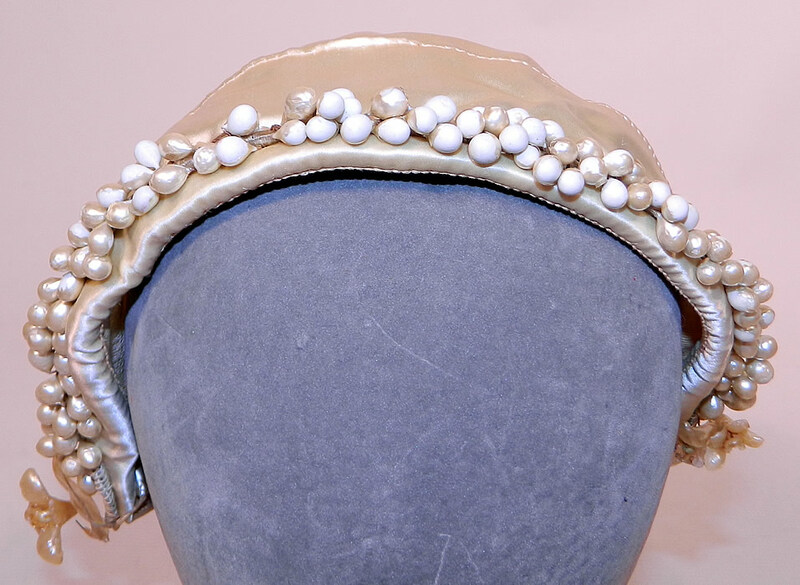 This wonderful wedding headpiece is a beautiful one of a kind piece of bridal textile art!